Image Innovators Pty Ltd was founded in 1996 by Ron and Ann Reinten from Melbourne, Australia. Initially known as The Australian Image Company, Image Innovators has grown to become a market leader for innovative and up-to-date image consultant resources and training. Through an unstoppable enthusiasm for technology and entrepreneurship, Ann and Ron have created a company based on passion and integrity, innovation and forward thinking. This is most clearly demonstrated by their Style programs which are unique in the marketplace. innovative and leading-edge image products, support and education. We also believe that providing image consultants with great products is not enough. Today, Image Innovators Pty Ltd is one of the largest image resource and training company in the southern hemisphere and one of the largest in the world. In 2008 International Master Licenses were created and to date have been taken up for South Africa and then Mexico. Today almost all products are available in English and Spanish and we have distribution centres in Australia, USA, South Africa and Mexico. Ann Reinten is a Certified Image Professional (CIP) with The Association of Image Consultants International (AICI) and the founder, owner and visionary of Image Innovators: a company represented in 24 countries. 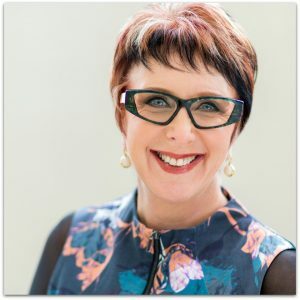 Recognised internationally as a world leader in the field of image education and product development, Ann has travelled to many countries training and assisting over 500 image consultants using the products she and her husband Ron, have developed. Today her trainers do the bulk of this work while Ann continues producing new products and online education. In May 2010 Ann was awarded AICI’s highest achievement award: an IMMIE for Product Innovation and Excellence. A number of Ann’s students have gone on to become notable image consultants and create companies of their own. These include: Lula Kiah (USA and Mexico), Wendy Lee (Malaysia), Clare Maxfield (Australia and now working with Ann here at image Innovators), Minnette Oliver (South Africa), Aletté-Johanni Winckler (South Africa) and Ferial Youakim (Australia and the USA).